Twitter’s ghastly rules and restrictions for third-party clients mean that you’re almost always better off using its official apps these days. And if you use Twitter a lot, TweetDeck is best on macOS. 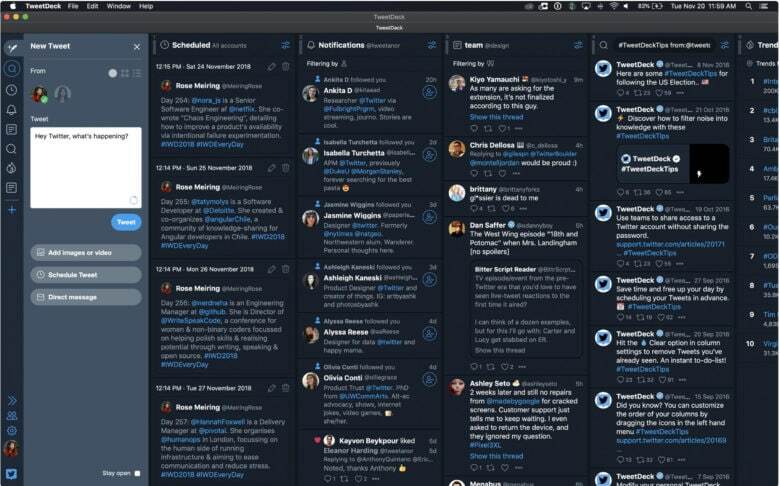 TweetDeck is completely free, and it offers more than the standard Twitter client — including a new dark mode for Mojave. TweetDeck’s new dark theme can be enabled automatically to match the theme of macOS, but users can also set a custom theme that ignores the system setting if they wish. You can download TweetDeck 3.10 from the Mac App Store now.